It's hard to be sure of many things in this life, but if you can place a successful bet on anything, it's the fact that if Oprah Winfrey is flying across the world to see your play, you're doing something right. 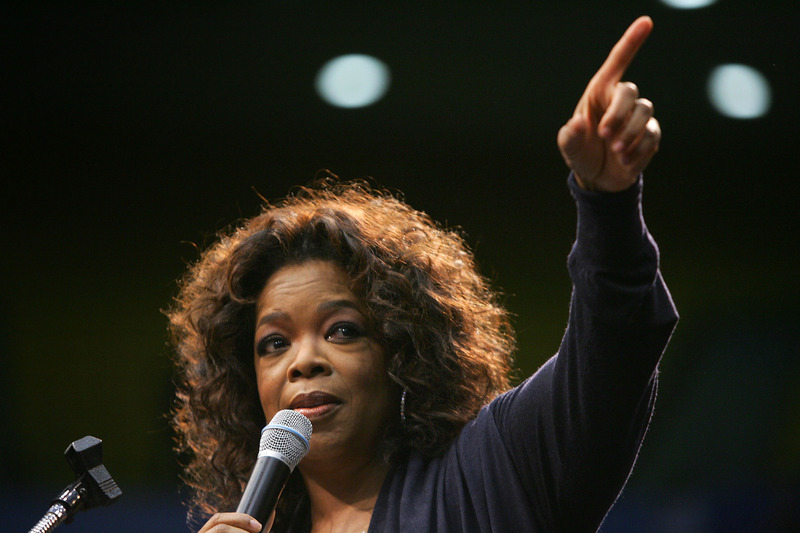 Despite Lindsay Lohan's bumpy history, Oprah has been on her side for a while now. So although it's not a huge surprise that Winfrey flew to London to visit Lohan at the opening of her new play, it's still a pretty good sign for the actress. Oh, and Lupita Nyong'o was there too. Both Lohan and Winfrey posted about the special visit on Instagram, with Lohan referring to Oprah as her "fairy godmother." It makes since that the two are close, given Lohan's starring role in the Oprah Winfrey Network series Lindsay, a docu-series that followed the actress' life after her past legal and substance issues. The eight episodes featured Lohan attending meetings, attempting to revive her once active acting career and eventually, sadly revealing she had miscarried at some point during filming. As a former child actress who has had a variety of difficulties over the years (we all remember that famous list from Lindsay, I think), Winfrey has taken interest in Lohan's life and career and it's heart-warming to see that she is supportive of Lindsay post-series. The play that Winfrey visited Lohan at is called "Speed-the-Row" and opened on September 24. According to E! News the play is "a satirical dissection of the American movie business." Seems fitting.